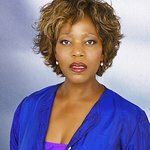 In a robocall released by People For the American Way, award-winning actress Alfre Woodard calls Pennsylvania voters urging them to contact Senator Pat Toomey (R-PA) and demand that he give fair consideration to President Obama’s Supreme Court nominee. As the call states, Sen. Toomey has declared that he won’t fulfill his constitutional duty and instead falsely asserts it’s “not that big a deal” if the Supreme Court vacancy lasts for over a year. “When there’s a vacancy on the Supreme Court, the Constitution is clear about what happens next: the President nominates a new Justice and the Senate gives that nominee fair consideration,” says Woodard in her call. "But Republicans, including Senator Pat Toomey, are playing politics with the law and saying they won’t fulfill their constitutional obligation. Toomey even said it’s “not that big a deal” to leave the ninth Supreme Court seat empty for more than a year! “He couldn’t be more wrong. This is the second set of robocalls that PFAW has launched on this issue. In February, Martin Sheen called Wisconsinites targeting Sen. Ron Johnson (R-WI) for his obstruction on the Supreme Court vacancy.